Claire Buss is an award-winning multi-genre author and poet based in the United Kingdom. Her impressive range spans from humorous fantasy to dystopian hellscapes. She once aspired to be Lois Lane, but a working experience at a local newspaper spun her in a new direction. These days, she prefers to write about interspecies poker tournaments. Are you friends with other authors? Yes! It’s a lonely business being a writer so when you have the opportunity to connect with other people who know what you’re going through, it’s a great idea. There are lots of helpful groups where you can ask questions, get good advice and of course share your promotions. Lots of my author friends hang out at the Sparkly Badgers and the Sci-Fi Knights of the Roundtable Facebook pages. I’ve found Twitter is a great place to meet other writers as well. You can follow me at @grasshopper2407. Another misconception is that all writers are independently wealthy. How true is that? HAHAHAHAHAHAHAHA! It’s not true as far as I know. Many of my writer friends work a day job and shoehorn their writing in when they can. I’m a stay-at-home mum with two smalls so squeezing in a regular writing schedule is nigh on impossible and every spare penny I have goes on my kids. That said, I’m into my third year of writing now and I’m beginning to see royalties that I can reinvest into things like KDP Rocket so that’s encouraging. It starts off with a burst of excitement as I get a new idea and scribble it down on a piece of paper. Then I talk about it a lot to my husband who sometimes can’t keep up with my excitable chatter LOL. Sometimes I file those ideas for later, sometimes they just keep shouting at me and then I have to write the story. I’m a pantser not a plotter so I just open my laptop and start writing. I usually don’t know what is going to happen next, that’s one of things about writing I really enjoy. I aim for at least a 1000 words a session and pick up right where I left off the previous day. I don’t read back until I get to the end and I usually write sequentially. Once I’ve finished the first draft I leave it to rest for a few weeks, or longer, before beginning the tortuous editing process. I like to have a print out to scrawl on and I usually have to make copious notes about the many, many plot holes but I like to think that the book comes out stronger on the other side. I hope so! I am finishing off my humorous novella, The Interspecies Poker Tournament, at the moment. The cover artwork is by the fab Ian Bristow and it’s set in the same world as my humorous fantasy novel, The Rose Thief. If the title doesn’t give you a good idea of what the story is about, I reckon the cover will! 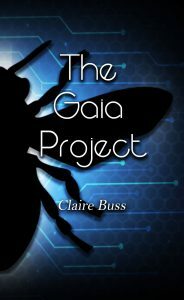 I also have the first draft of The Gaia Solution which will be the third book in my hopeful dystopian series, The Gaia Collection. I wrote the draft in NaNoWriMo last year so I’ve got the tough first editing round to get stuck into. 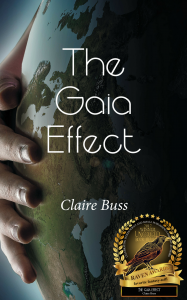 The Gaia Effect is book 1 and The Gaia Project is book 2. Do you plan on owning a publishing house? I don’t know whether it will actually get off the ground but myself and fellow indie author, C H Clepitt, have been thinking about potentially starting a Sparkly Badgers publishing house. We dipped a toe in the water last year with a charity Christmas anthology, raising money for the Avon Riding Centre for the Disabled. This year we are looking at putting together a Halloween anthology for our sparkly badgers to have as a free giveaway book. I am actually working on something completely different for Camp NaNoWriMo this year. 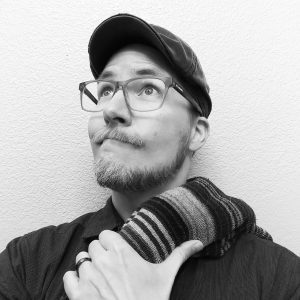 I have an idea for a multi-book project which will require some pre-planning for the timeline and also some highly developed character building. I’m quite excited to have a go at this project in a different way to how I normally write so we will see what happens. I can’t really say anymore, we are in very early stages! I get blocked a lot. Some of it is fragile writer’s mindset – having a sudden panic attack that I can’t write for toffee! Some of it is writer’s block’s best friend, procrastination. I’ve been known to clean the oven to get out of writing. When I stop to look at the block, I can never really work out why I’m not writing because usually, the ideas are already there. I think, for me, it’s very much a mood thing. When I’m in the right frame of mind to write, I can knock out 2000 words in a writing session – considering my usual writing sessions are less than an hour! But when the muses are not with me, I struggle to even complete a sentence. 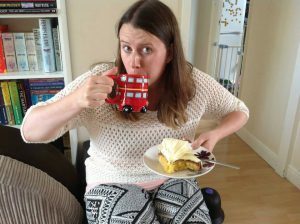 I’ve listened to other writers talk about working through the block and that you should write everyday regardless and that’s great it if works for you but I find a cup of tea and a slice of cake is a better solution. I’ve always written stories and poems. As a child I was very earnest about them, recreating The Lord of the Rings with a softer, teddy bear approach. I once wrote a short story about Santa Claws and couldn’t understand why my parents laughed so much. There were no cats in that tale. As a teenager, I was all about the angsty poetry and entertained grand plans of becoming a real-life Lois Lane. I did my work experience at the local paper and soon decided that perhaps Lois Lane didn’t have all that. Being an adult stopped me writing for a while and it wasn’t until I saw a local writing group advertised at my local library that I dusted off my imagination. That was in 2016 and I haven’t looked back since. LOL! Five copies of The Gaia Project! But on my Kindle, I’m currently reading Checking Out by T.W.M Ashford with Akrad’s Children by Jeanette O’Hagan waiting impatiently behind that. Bare feet all the time.